NBC has renewed family comedy Marlon for a second season. It's as yet unclear whether it will return in-season or in summer. NBC has given summer freshman comedy Marlon a second season renewal, with the show set to return in 2018. It’s as yet unclear whether the show will remain a summer show or be placed in-season. Considering how crowded NBC’s schedule already is, thanks in part to the Winter Olympic squeeze, and the fact that The Carmichael Show was cancelled, it seems likely that Marlon will remain a summer show with a shorter order. However, Deadline reports that producers had been seeking an in-season sophomore run with a non-truncated order, so there’s a chance that Marlon could be back sooner rather than later. 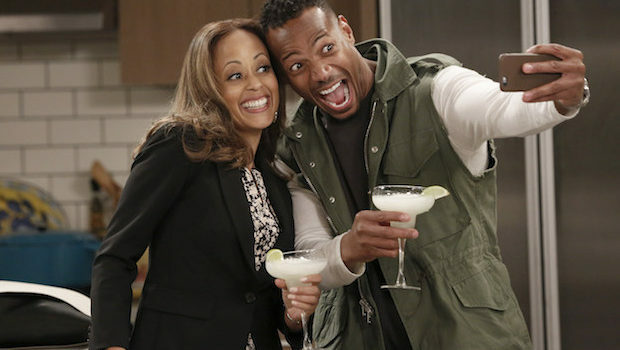 From Marlon Wayans (White Chicks), Marlon follows divorced couple Marlon (Wayans) and Ashley (Essence Atkins) as they try to stay friends for the sake of their two children. In addition to Atkins and Wayans, Marlon stars Bresha Webb, Diallo Riddle, Notlim Taylor, and Amir O’Neil. The series is part of a scripted comedy slate that NBC that includes Trial & Error, Great News, Superstore, The Good Place, and Will & Grace, the last of which having already been renewed for 2018-19. Are you excited about the second season? Where do you think the show should air next season – in-season or in the summer? Would you like to see NBC develop more family comedies?